Melanoma, is the deadliest form of skin cancer and can happen to anyone! Healthcare professionals did not take Jackie Smiths condition seriously. However, her strength, resilience and determination to press on and not take “no” for an answer is a lesson to us all. melanoma is for fair-skinned, middle-aged, Caucasian women…. Listen to her tell a piece of her own story, and consequently dismantles the myth that this is a “white” person disease. Skin cancer can affect any race or gender. Did you know that Bob Marley died from Melanoma as well? As a young African American female, Jackie is NOT your typical skin cancer advocate. She is a role model who teaches each of us that cancer does not discriminate. It happens to young, beautiful humans everyday. For instance according to the American Academy of Dermatology, almost one person dies every hour from melanoma in the US. 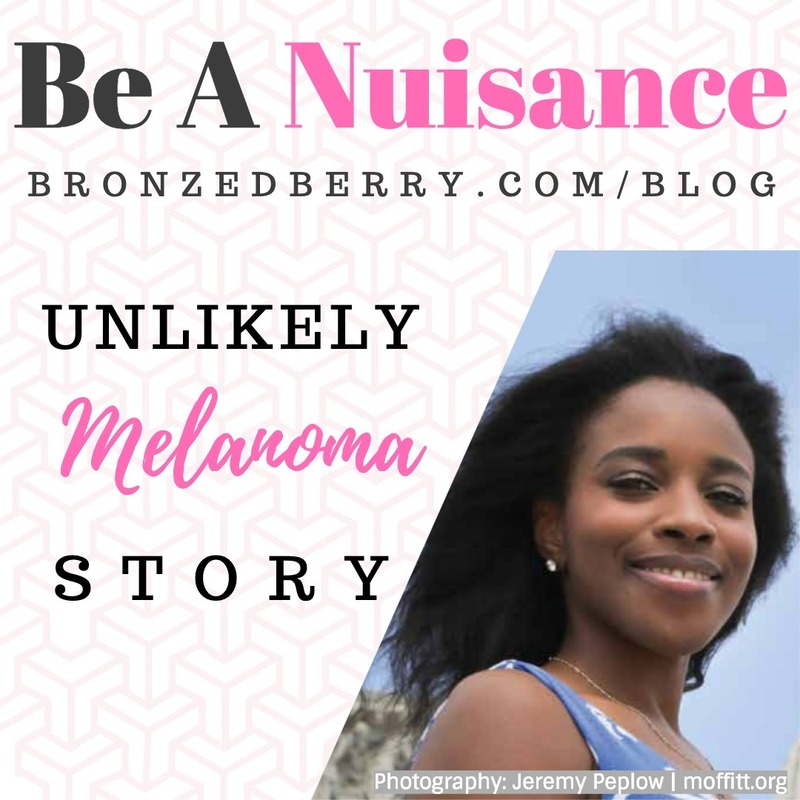 For African Americans a Melanoma diagnosis is often a death sentence, because of late stage detection. It does not have to be this way. Take Jackie’s story to heart and pass it on. And most importantly Share Jackies story with your loved ones and remind them that being a nuisance should be the least of your worries. Above all, her advice is that you are the best advocate for your health. Don’t take “no” for an answer. Find a doctor that will listen and take you seriously. Your life may be at stake. Therefore, see an oncologist, not a dermatologist if you or someone you know is diagnosed with Melanoma. This one doctor switch can save your life. Jackie finds ways to give back by volunteering and even going to Capitol Hill to advocate for melanoma research and awareness, read more about her here. We've got goals for growth and we want to take you with us! Everytime we pivot and grow our members get rewarded. As a company we have a goal to add 100 new Artists to our club. That kind of growth is something we've been planning for are are ready to handle. We have the software, manufacturing and infrastructure set in place waiting to help these newbies. When we grow, our members are rewarded. With 100 new Artists we will be able to lower the costs so that members receive 50% off of BBombshell and Clear as well as Classic!!! This is HUGE and we can't wait to share the new lower price. Help us get there: When members referring other members they can receive $100 Visa Gift Card! Just have the new Artist put your name (first and last) into the Order Notes section. We'll review these and you'll get your gift card. It's the easiest referral process in the world. We can't wait to see how we are going to grow and to see Artists helping Artists. We listen to Laura McDaniel as she walks us through her harrowing ordeal with her Melanoma Story. She is not defined by this one aspect of her life though. She is an accomplished lawyer, mother, ally and survivor. Hear what it takes to challenge Doctors, trust your gut and be cured! Self examination is the FIRST STEP. Skin cancer is color blind. 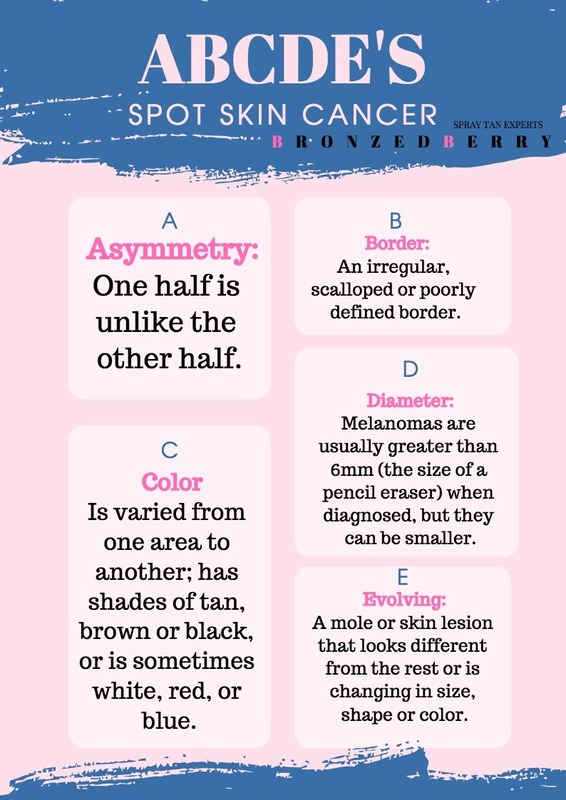 Check your skin. Schedule with a dermatologist. The life you save might be your own. Click here for free resources from American Academy of Dermatology. 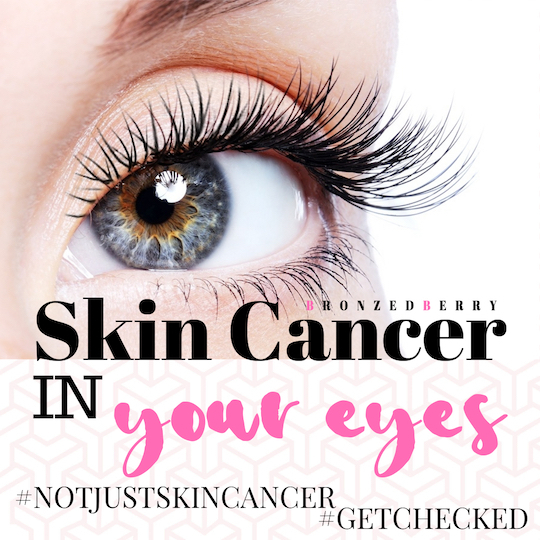 Everyone knows that cancer can grow in any part of our body but did you realize that you can get skin cancer in your eyes? By it's name one can assume that it's only on the outside of the skin but the truth is scarier! Don't worry tough because your opthemolologist can check for changes during routine annual eye exams! Protect your eyes with UV resistant sunglasses....plus shades always look cool anyways! Check out our other blogs on this topic, click here. It's a jungle out there! How can any reasonable person differentiate a quality sunscreen from the junk? TRUE: The FDA has toughened up on companies and now require validation studies to prove effectiveness. Let's give them a slow clap for that...even though it took years to get them to finally wise up to that. Better late than never. So what's the big deal? Well, for starters, did you know that the US has only less than half the amount of approved active sunblock ingredients than Europe? Did you know that what we have here in the US is NOT the best protection? Well, if you know anything about the cosmetics and beauty industry in the US, this shouldn't surprise you. We believe we can do better. 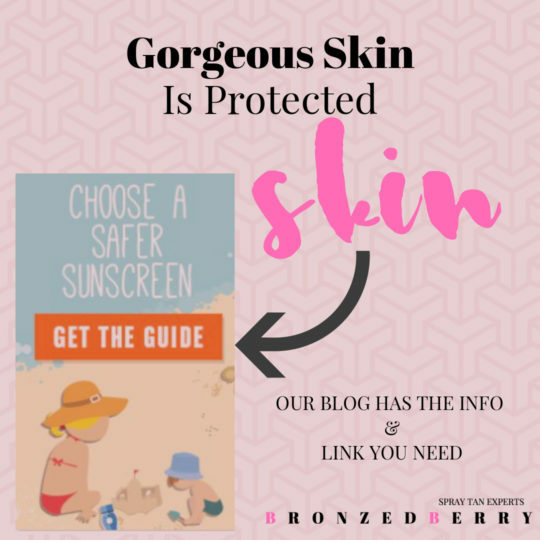 Did you know that beyond active ingredients like zinc oxide, the non-active ingredients make up about 90% of sunscreen volume? So....if you are NOT looking at the label and reading the ingredients you may be shocked to know that a lot of sunscreens marketed to babies and children actually contain chemicals banned in Europe because they are known carcinogens. Read the labels and chose wisely! Need help? The EEWG has a list of the best and what's in it, they also have a list of the worst cosmetics and sunscreens too. As a business owner, you'll need to understand state and national tax terms and what applies to you. We highly recommend you spend some time reading through this and following our guide to making certain you are collecting and filing all the right kinds of taxes. Plus, we don't want you missing out on deductions! I'ts not complicated or difficult to run your own business as and independent contractor with BronzedBerry. You are your own boss and that comes with benefits! Tanning Artists are independent representatives of BronzedBerry LLC and are 100% responsible for filing their own taxes. The IRS allows individuals to file a personal 1099 each year for income they have earned. We will provide a 1099-MISC to any artist that earns $600.00 or more in BB Bucks. 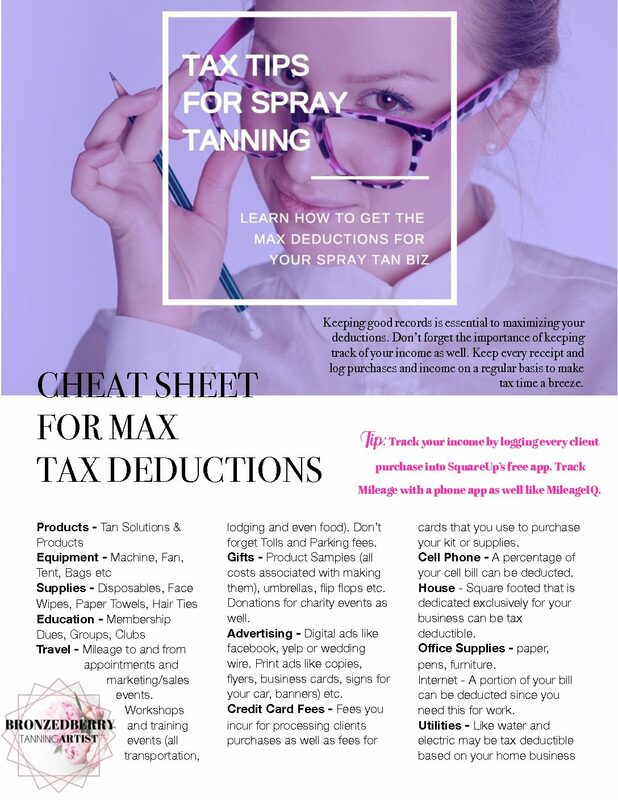 BronzedBerry encourages each Tanning Artist to enlist the help of a certified tax professional if they questions. They are trained to help you file the proper paperwork. Best of all they can help you with calculating your lawful deductions. Below you will find tips and information that we hope is useful, we are not tax professionals and therefore the below information should not be used as legal advice. Every penny you receive including tips are taxable. That's why it's so important to keep great records of your expenses. In order to determine IF you owe the state or IRS money at the end of year you will subtract your expenes from your income and if your taxes will be based on what you netted after your expenses. However, remember those utilites, cell phone and mileage deductions? This is where all that hard work of record keeping comes in handy. Your tax professional will know how to attribute a value to those in order to maximize your lawful deductions. Ways to keep track - Are you offering credit card purchases? If not, you should, hardly anyone carries cash and the fees are tax deductible! Any system like Paypal or our preferred provider, Squareup.com has an app for your phone that lets you keep track of client purchases! Even cash or check transactions. So, get in the habit of entering each client transaction into the system. Squareup even has a loyalty program you can create for free for clients. So, it's very helpful and will make it a breeze at tax time! Otherwise keep track on your calendar and at the end of the year add it all up. Use our guide to help make sure you are keeping track of vital information as it relates to your business. As a business owner, there are many items in your home that can qualify as a deduction for your business! You will have indirect and direct expenses for your business. TIP: Grab your odometer mileage at the beginning of the year. You'll need it for your tax return. And keep track of mileage. A simple way is to add each appointment or qualifying trip into your google calendar. Add the physical address and then at the end of the year add it all up! Or download a mileage tracking app right on your phone. Save your receipts and if you want to make it easy for your self-input them weekly or monthly into a simple Google Doc spreadsheet. You can provide your own Income/Expense Sheet to your CPA or do your own taxes....but you should be keeping up with this monthly to alleviate tax stress. *Details above are for your information and should not be taken as legal tax advice. 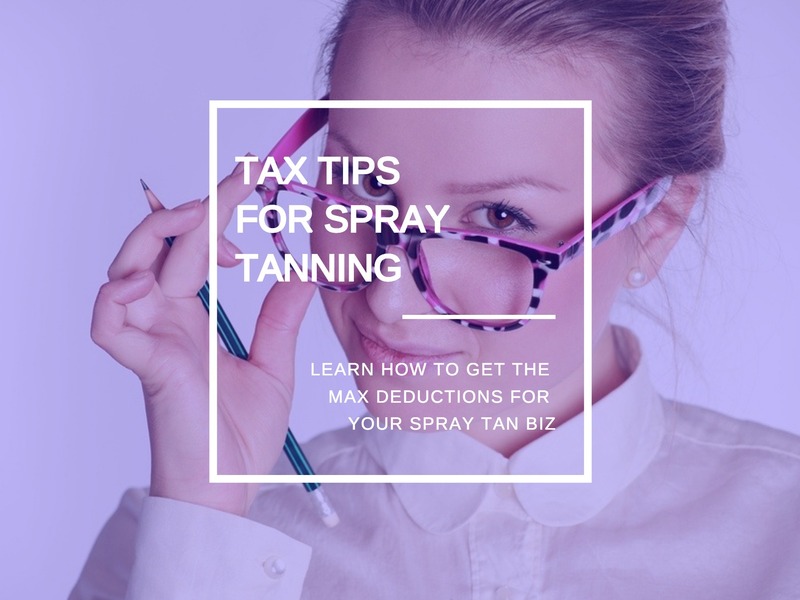 It is the responsibility of each Tanning Artist to keep track of local state and federal laws regarding spray tanning services as well as reseller sales tax obligations. Is it easy to spray tan a client? What's it like to learn online and then tan clients for profits? Hear straight from an Artists' mouth, as Jen B dives into how she got started as a spray tan artist. She runs her own spray tan biz, with BronzedBerry, and is killing it. Learn the how, the why and what is required to make this business work. Listen to her story and TAKE NOTES if you want to expand your business or build your spray tan brand. We are the best spray tan company to work with because we have the most comprehensive and in-depth spray tan training anywhere! We are the only company combining the attention of in-person training, fully online. Our training can be completed by anyone who has access to the internet at prices everyone can afford. Check out our reviews - Don't just take our word for it! On-Demand Learning | Fully Mobile Optimized Web-Based Learning Portal: Go at your own pace through our 21 Day Certification Program. Our Spray Tan 101 Course will go in-depth into the proper technique, consultation, safety, and liability best practices for mobile spray tan businesses. Assessment Of Work | One on One Virtual Consultation: Every Artist, prior to certification has their work evaluated by a Master Artist. We ensure you are ready and able to spray tan clients with accuracy and care. No other company does this in their virtual program! Business & Marketing | Best Practices: Our spray tan class comes with module specially designed for spray tan business owners, teaching them business basics and offering marketing ideas. Never Organge: The technique learned along with our amazing tanning solutions, means you can avoid the dreaded "oompa loompa" look on clients...ALWAYS. Natural and Organic, actually means something to us. BronzedBerry uses EU (European) complient ingredients, they are made in the USA, vegan, cruelty free, and biodegradable. All our ingredients are listed on each bottle and website. We are commited to providing products that are good for your skin and our environment. Natural Without Sacrificing Efficiency: Our clients and Artists are addicted to our professional tanning solutions and sunless products. We guarantee you'll love them or your money back*. Simply the best tan of your life! Certified Organic: When possible we use certified organic ingredients in our solution, like organic white tea extract. We use gentle ingredients like Aloe Vera, vegetable glycerin, and chamomile. Ecocert DHA: The main ingredient that tans your skin is DHA, we source the purest on the market that is certified by Ecocert and conforms to European Standards. Our Yuck List: We manufacture WITHOUT Lanolin, Mineral Oil, Petrochemicals, Alcohol, Parabens, PABA, Sodium Lauryl Sulfate or Formaldehyde. Discounts: Receive up to 50% off professional tanning solutions, discounts on EVERY BronzedBerry product. Continuing Education: Once a month education webinars for enhancing and perfecting the spray tanning craft, marketing, and promotional education. Education designed to push Artists business to the next level. Private Facebook Group: Access to Master Artists and Educators who are answering questions daily, additional training and marketing support provided in this forum. Artists Search: Leverage our brand by having your own URL and professional profile on our site that links back to your social media accounts. Get booked! Liability Release: We offer a digital client waiver to our Artists to reduce the risk and liability. Unlike competitors who offer a paper copy, our document captures real signatures through legal software and is backed up on our servers. *Certification required. Contact info@bronzedberry.com with questions. The winter is dreadful on our skin! Unevenness, patchy, dry and itchy are all common winter skin complaints. Removing the top layer of your skin is called exfoliation, sloughing, or what we like to joking refer to as 'epidermis removous'. Whatever you call it, we all know that this needs to be removed because you can't "fix" or "cure" the skin...it's already dead folks. The only thing that's truly going to make a difference is to remove it. So, how do we do that? Many people DIY there own sugar or salt scrub, which almost always includes an oil of some kind. Here's the thing, should you really be mixing and trying a new combination of ingredients on your skin prior to an event? Same goes for the ones you buy in the store, many of those are full of ingredients you can even say...go ahead we dare you to try! 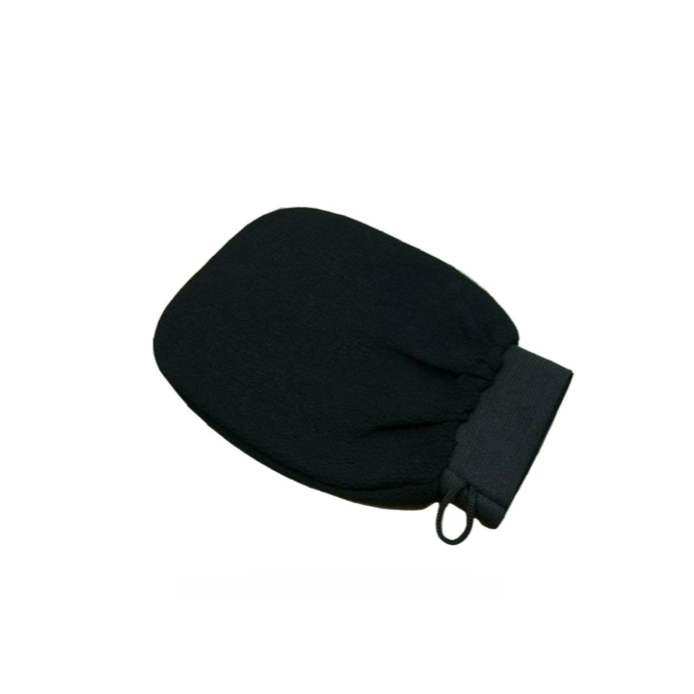 Avoid the hassle, use a Glove that is designed to be used in your shower or bath over and over again. Typically lasts 6 months and can be washed with your laundry (avoid the dryer). So, when you are ready for glowing, radiant skin, put on the ​Glove. "No matter what, everyone looks good with a BronzedBerry tan", according to makeup artist Lindsay Shields. We couldn't agree more! Loving the skin you're in is our jam. All of our tanning products are made in the USA, using European approved ingredients (bc EU has higher toxicity standards than the USA). We make our tanning solutions, tanning cream and spray tan products in small batches using only natural preservatives and pure essential oils for fragrances. 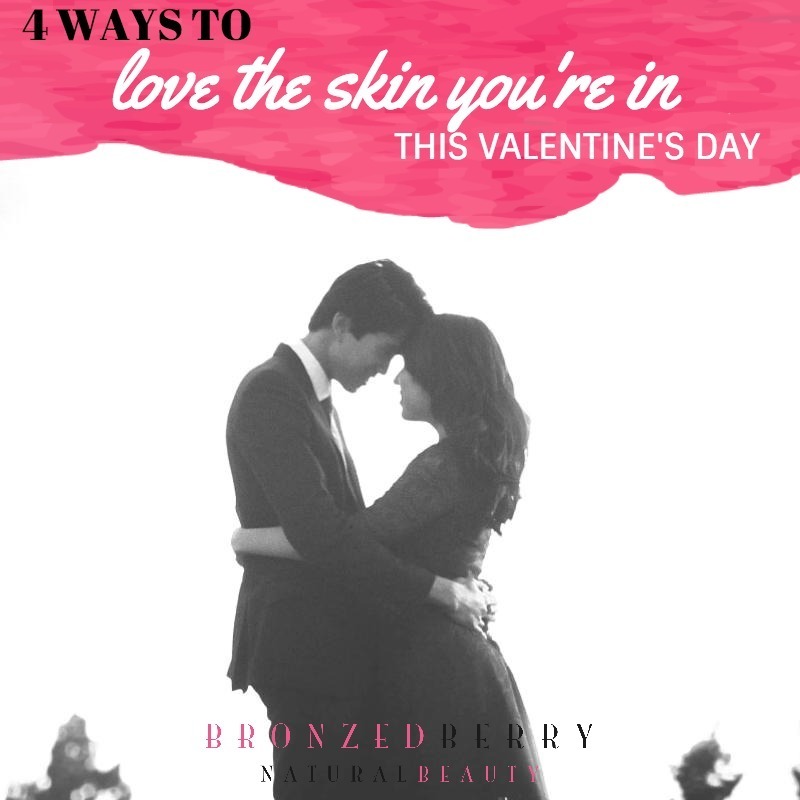 Whether you see an Artist before Valentine's Day or you give your self a pep in your step with one of our self-tanning products, we guarantee you'll love it (see our amazing return policy). Nervous about a DIY tan? Don't be, baby steps...try Extend. It's a colorless cream that smells like coconut (infused with Hawaiian monoi de tahini oil). Results show up in as little as 8 hours and can be applied like regular lotion. No rocket science here, one of the first steps to radient skin is hydration. This is the largest pore on your body, water it well. Did you realize that dehydrated skin accentuates the appearance of fine lines and wrinkles? Ugh, no woman wants that. Avoid this by drinking plenty of water and using quality moisturizers. 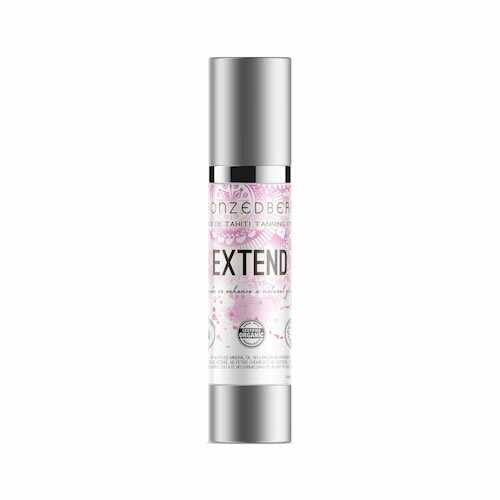 The best moisturizers contain an occlusive agent, humectant, and emmioliant. * Add a few drops of our Replenish Serum to your routine and begin seeing almost immediate improvements in the appearance of your skin. We have not left that out of our bag of tricks, this is an annual 'Must Do' for every woman. And might we suggest men too? Brighten it up easily, without the pain in as little as one hour...at home! We've put to the test the most common whitening systems on the market and compared them, see the result here. A nice natural white smile is one of the easiest and fastest ways to melt years off your appearance.